One of Spike Lee’s greatest films. Although it doesn’t have the explosive energy of Do the Right Thing, it’s a highly impressive biographical epic presenting the complex life of a complex public figure. Malcolm X is portrayed as a man who went through multiple transformations and made several errors in judgment, but learned from each of them. Lee doesn’t skimp on detail, providing extensive coverage of the early hoodlum life that is barely touched upon in the 1972 documentary. The extra time pays off, as the subject develops a richness and depth of character sometimes absent from “greatest hits” style biopics. 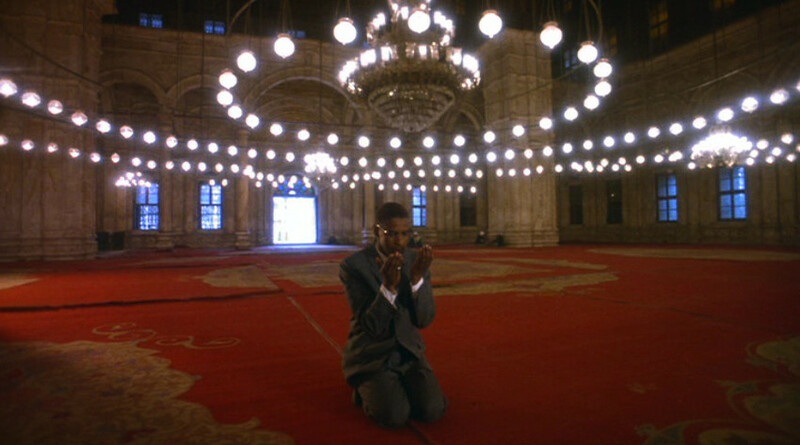 Every moment is riveting, from Shorty and Malcolm X (then Little) playing gangster in the park (culminating in a shot that pays homage to Ace in the Hole), to their actual gangster exploits, to Malcolm’s prison sentence and conversion to Islam, to his time serving under Elijah Muhammad, to the pilgrimage to Mecca and redemption. For a 200-minute film, it’s remarkably consistent in its ability to hold the viewer’s attention. Lee deserves much of the credit, of course, but one cannot overlook the powerhouse performance by Denzel Washington. Few actors have such natural charisma or refined talent. Rewatching this film serves as a reminder that I need to see more of his work, although I suspect most of what remains are considerably lesser works. One also cannot overlook the contributions of Ernest Dickerson, whose cinematography throughout is brilliant no matter what the setting or conditions. He has a gorgeous sense of lighting and color, and also knows when to hold back. This entry was posted on February 17, 2012 at 11:31 pm	and is filed under Movie Reviews. You can follow any responses to this entry through the RSS 2.0 feed. You can leave a response, or trackback from your own site.